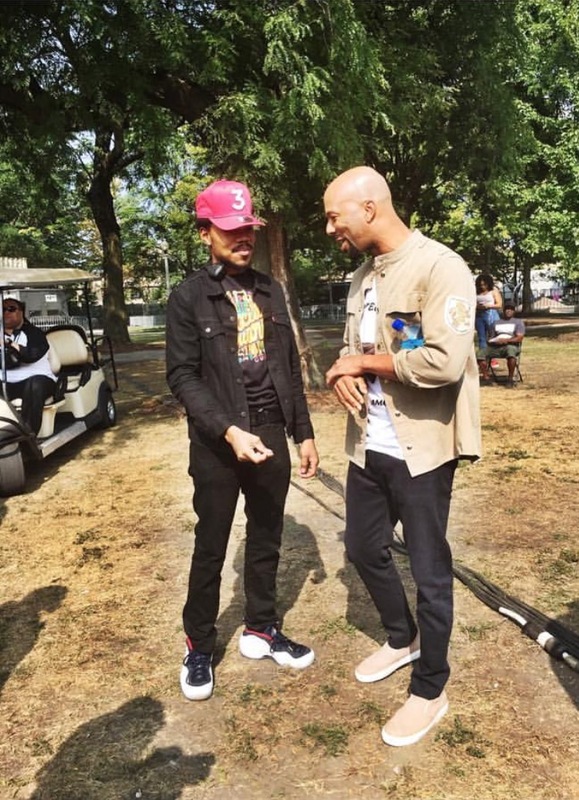 Common and Chance The Rapper gave Chicago a weekend to remember. Both stars used their star power to put on two amazing musical events that brought the whole city out. Chance brought Lil Wayne, 2Chainz, Alicia Keys, John Legend, Tyler The Creator and more to the city and made history by selling out the White Sox Stadium! Then Common brought The Roots, R.Kelly, Jeremih, Ice Cube, Vic Mensa, and J.Cole to takeover Union Park with AAHH Fest. The weekend was EPIC and both Common and Chance supported each other by surprising fans and making guest appearances at each others shows. To see all of the Diva Den's pics and videos follow our Instagram, Twitter, and Snapchat (@DivaDenEnt). Check out my performance reviews below. Tyler The Creator- I arrived just in time to watch Tyler the Creator and he was just as weird as I always thought. In addition to being weird he was very funny. He stopped in the middle of songs to make jokes, and sarcastic remarks, the crowd loved it. So even though I am not a fan of his music, he was still fun to watch. Kanye Surprise- Tyler ended his set and people instantly began moving around, taking bathroom and concession stand breaks, and then there was this black guy, dressed in all black, walking onto the stage. No introduction, no mic check, just walking slowly on to the stage. When he reached the edge of the stage we all realized who it was, and the crowd went CRAZY! People ran over security, jumped out of the stands and rushed the stage. It was epic. Kanye performed his classic hits like "Gold Digger", "All Falls Down", his new hits like "Famous" and then Chance joined him on stage to end the set with "Ultralight Beam". From that point on, the show was LIT! John Legend- John Legend performed all of his hits and surprised the crowd by having Common join him on stage for an epic performance of their Oscar winning song, Glory. Collegrove- 2Chainz started the set by performing a few of his hits and then he hyped the crowd to give Lil Wayne the proper introduction. All of a sudden, this stage door lifts up and out walks Lil Wayne in all his glory. Wayne and 2Chainz performed their song "Gotta Lotta" and then Wayne went on to perform all of his classic hits. 2Chainz rejoined him and performed all of his hits and they ended the set with the crowd extremely turnt and wanting more. Their set was amazing! Alicia Keys- Alicia did exactly what Alicia does. She sang, yelled, played the piano, and smiled. She stayed true to her no makeup challenge and performed all of her hits. It was a cute little moment. Chance- Chance hit the stage and performed all of his mixtape hits and gave the crowd an interesting story-line told by Muppet-like characters. At one point he took a long break and left the crowd wondering what was happening, but he later returned and finished the set strong with a children's choir joining him on stage. We ended the show there and did not stay for Skrillex. 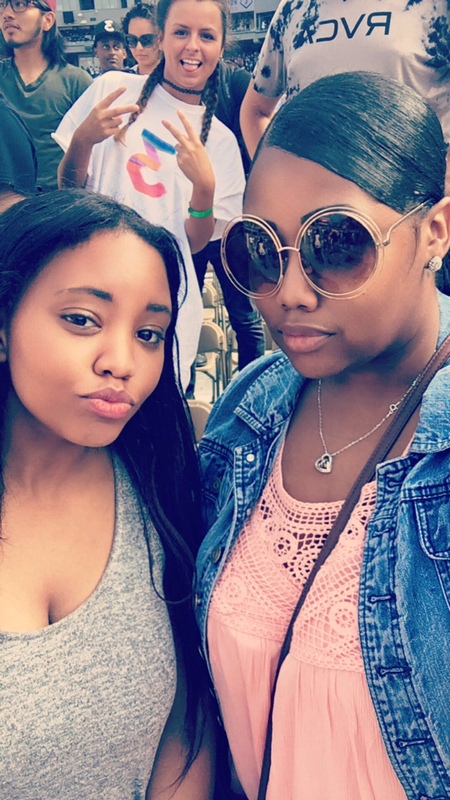 I arrived just before Jeremih hit the stage and as soon as I entered the fest, I could feel the positive energy. Me, my brother, sister in love, and my friends found a good spot in the crowd and enjoyed the vibes. Vic Mensa- Vic hit the stage and gave the most powerful performance of the night. He performed his song 16 shots and gave a dramatic reenactment of the Laquan McDonald shooting. It was very touching and I admire Vic for taking a stand against police brutality. The Roots- The Roots hit the stage and gave the crowd musical perfection. They all flexed their skills on the instruments and the crowd danced along. Common- Common hit the stage and he is definitely someone you want to see perform live. He always performs all of his hits and throwbacks but my favorite part about watching Common live is that he always does a freestyle during his set. He will rap for at least 3-5 mins straight off the dome. You never really see that from rappers anymore so I always enjoy when Common does it on stage. Common also brought R.Kelly and Ice Cube on stage to join him during his performance. It was a really dope set. J.Cole- J.Cole came on stage and performed with a live band. He did all of his hits from his double platinum album 2014 Forest Hills Drive. He finished his set with a surprise performance with Jeremih. J.Cole is in my top 5 favorite rappers so it's safe to say that I ended my weekend on a high note. Round of applause to all of the DJ's that hit the AAHH fest stage. They all did a phenomenal job keeping the crowd upbeat in between shows. It was really dope that AAHH Fest paid respect to DJ Timbuck2 with a nice tribute. To see all of Diva Den video and photo coverage from the weekend be sure to follow us on IG and Snapchat @DivaDenEnt.